Taipei, Taiwan –Dec. 18, 2013 – TUL Corporation, a leading manufacturer of AMD graphic cards, today announces the first and only R9 290X with liquid cooling solution in the market. 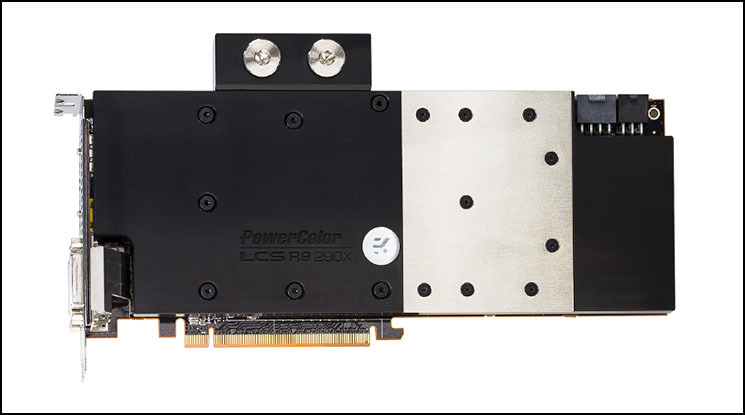 As always, PowerColor have joined forces with award-winning cooling manufacture EK Water Blocks to create the PowerColor LCS R9 290X as a must have for every enthusiastic PC users. The LCS R9 290X runs at a pre-set factory overclock of the core to 1060MHz, a significant 60MHz over reference; also features 1350MHz for memory which is 100MMz above reference, bringing out the best performance. Together with 512-bit high speed memory interface and 2816 units of stream processor, the LCS R9 290X provides user flawless gaming experience. To ensure ultimate OC setting with stability, the latest graphics solution armed with solid-built “Gold Power Kit” onboard, enabling stable power efficiency even at load. The LCS R9 290X packed with full cover water block design which can directly cools the GPU, memory and other important components as water flows directly over these critical areas, delivering extraordinary thermal performance for optimum stability and a superb OC setting. Furthermore, with the base which is made of nickel plated cooper, the LCS R9 290X enhances thermal dissipating and anti-oxidizing ability, allowing temperature under 60oC even under full load. PowerColor LCS R9 290X packages a high-flow 3/8" and 1/2" fittings (barbs) to maximize water flow with captured o-rings to prevent leakage. Gamers can customize their own liquid cooling system using these two fittings. This is good. Do they sell for less than one with all of the other heatsink/fans included? That is a nice set up. So smart of them to do this. Thanks Sandy. very true. I like the ones that are ok with it too! Very nice setup! Like to get my hands on one of these! How much will one set you back? No price has been listed yet. Im guess $700!!! Even at that price. It is well worth it. You're probably more spot on than you think. That'd be about how much a massaged PCB for this card would be plus the cost of the cooler installed for you. The press release is mum on when this puppy will be available and how much it will cost. Newegg has a bunch of 290X cards back in stock, but they're all selling for $630, which is an $80 premium over AMD's suggested price. I'd expect a hot-clocked, liquid-cooled variant to be even pricier. PowerColor has done this in the past with other flagship cards. So I am not surprises here.. This is a great solution for those who don't want to mess with the WB themselves.. If the price is right, these will sell FAST. 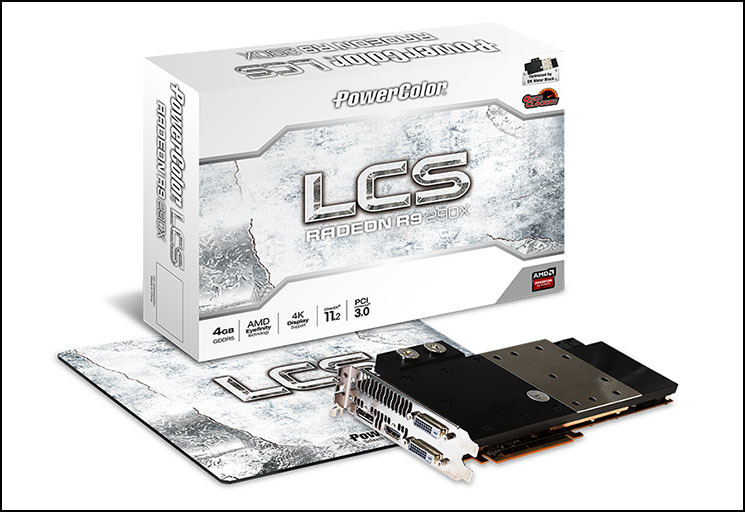 I almost purchased a Powercolor LCS for the GTX580 ones before.